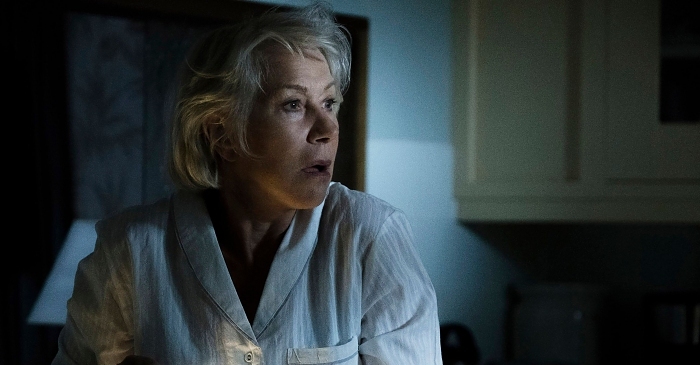 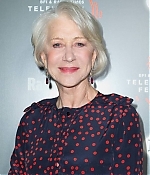 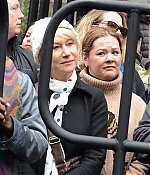 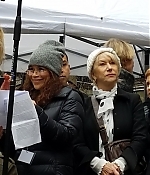 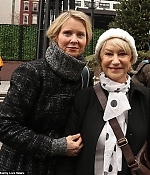 Helen Mirren took part in New York’s Women’s March on Saturday at an impromptu rally outside One Dag Hammarskjöld Plaza in the Big Apple. 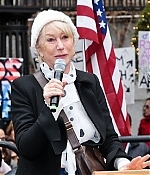 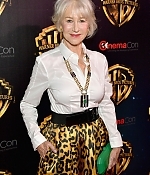 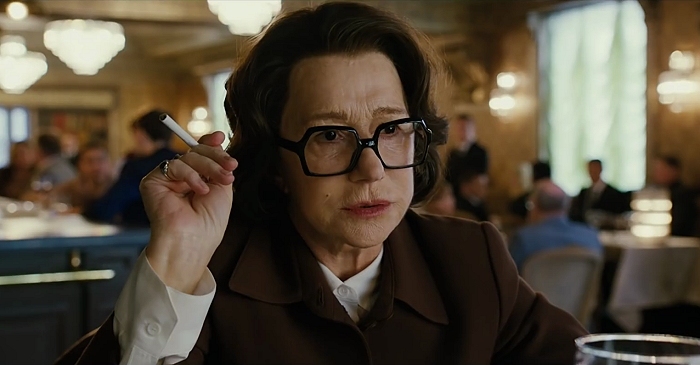 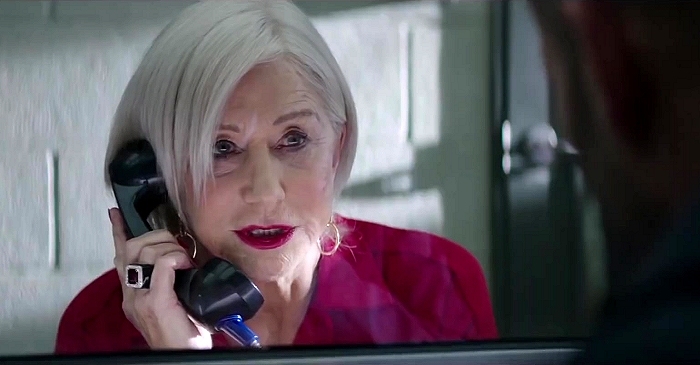 Mirren stood at the event’s wooden podium as she held the mic in her hand to deliver an awe-inspiring address. 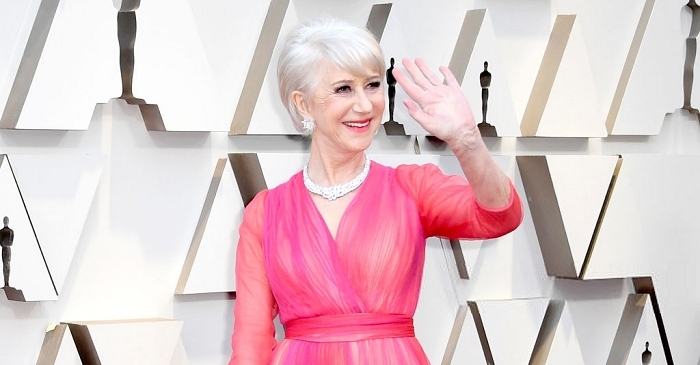 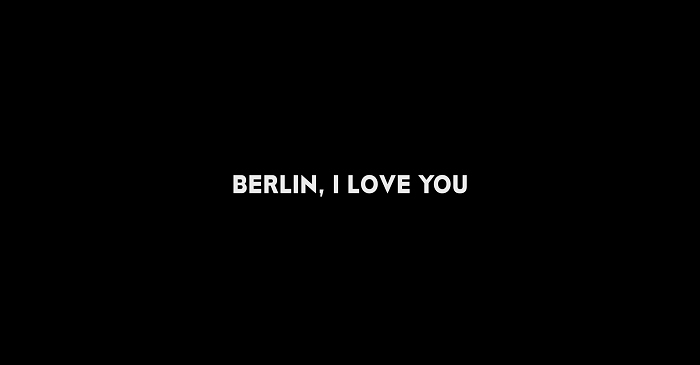 Briefly speaking to the crowd infront of her, she declared: ‘I came on the subway, and I just followed the crowd because I knew you knew where you were all going. 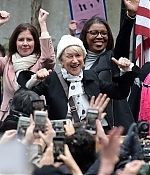 It was amazing just to be on the subway was a great experience, all I want to say is today I am a New Yorker.” Admiring the huge turnout for the march, she took to her social media to document the historic day, captioning one of her snaps out on the streets amongst her fellow females: ‘This is amazing!’ Joining her at the march was actresses Cynthia Nixon, Whoopi Goldberg, Rosie Perez and Taylor Schilling. 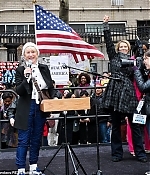 New York’s march was one of 600 protests held all over the globe in solidarity with women in America, who are worried that Trump’s inauguration threatens issues such as abortion, diversity and climate change. 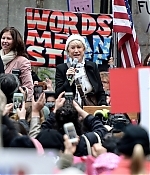 The marches around the world attracted numerous celebrities including Scarlett Johansson, Jake Gyllenhaal, Emma Watson, Ashley Judd, Cher, America Ferrera, Kristen Stewart, Charlize Theron, Yoko Ono and Amy Schumer. 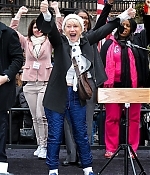 Some 2.2 million people are believed to have marched to promote women’s and human rights.